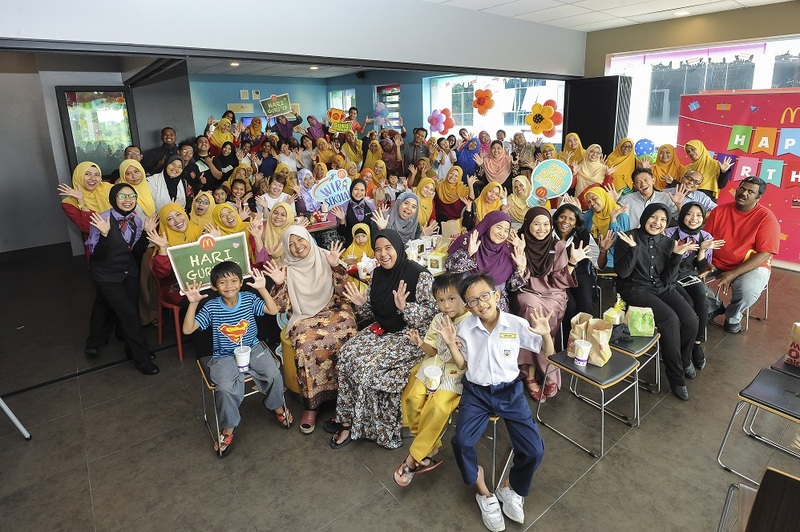 McDonald’s Malaysia today accorded 25 teachers from across Malaysia the Anugerah Guru Inspirasi McDonald’s 2018, an annual award that is presented in conjunction with the national Teacher’s Day celebrations. This is the second time the awards programme is organized and the response was overwhelming with more than 3,000 nominations received – easily surpassing last year’s nominations by three times. As a recognition of the overwhelming response, at least one teacher from each state was chosen, bringing the total number of deserving winners to 25 in comparison to last year’s six. 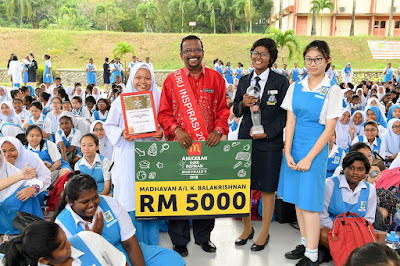 McDonald’s Malaysia Managing Director and Local Operating Partner, Azmir Jaafar, said the Anugerah Guru Inspirasi McDonald’s is aimed at recognizing and rewarding teachers who have performed their tasks as educators beyond the call of duty and positively impacted the lives of their students and the community. 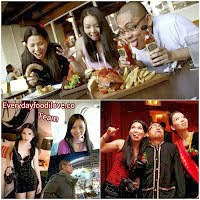 “The teachers are recognized for their ability to inspire their students and make a difference in their lives. They have either managed to change the students’ mindset towards becoming better individuals, help improve their academic performance or raise their self-esteem and confidence level. 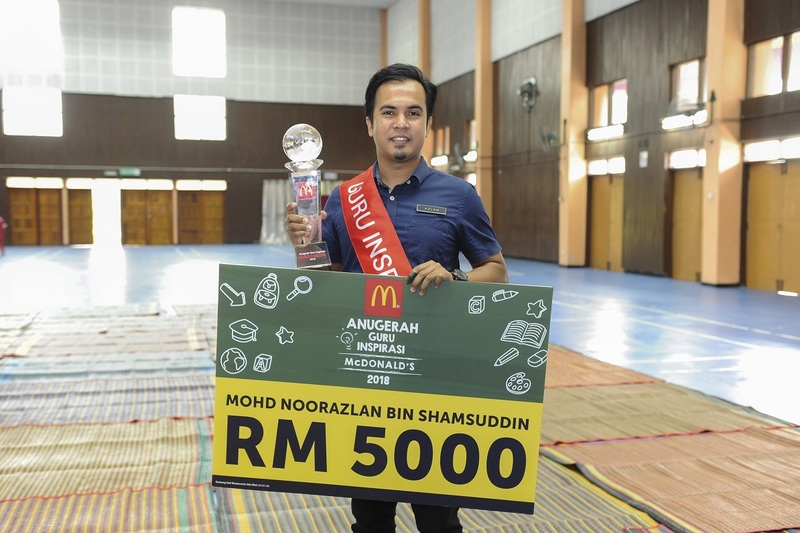 “The Anugerah Guru Inspirasi McDonald’s awards programme is our way of showing our appreciation and recognition to the deserving teachers for going the extra mile and having been the beacons of hope to their students,” Azmir said. 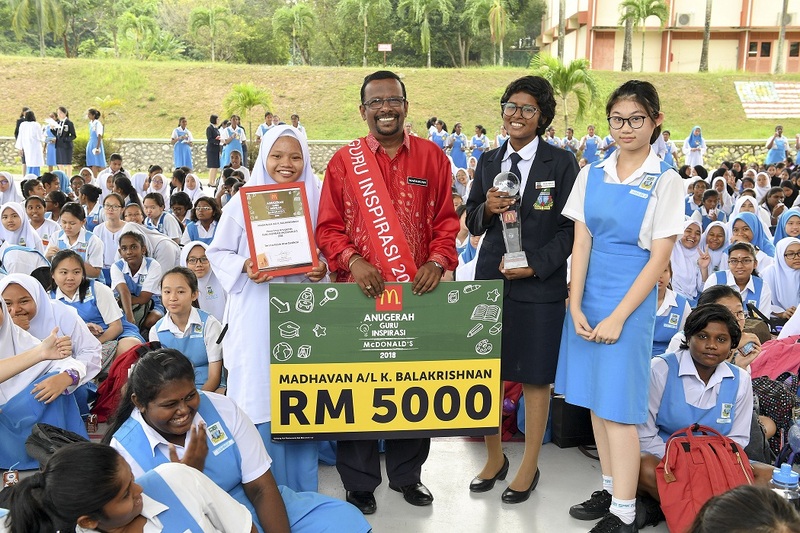 Each of the 25 winners received RM5,000 in cash, a trophy, sash and certificate of recognition at a ceremony co-ordinated with their respective schools in conjunction with this year’s Teacher’s Day celebration. Nominators, mostly students, were also acknowledged for their contribution with RM200 worth of McDonald’s gift certificates. 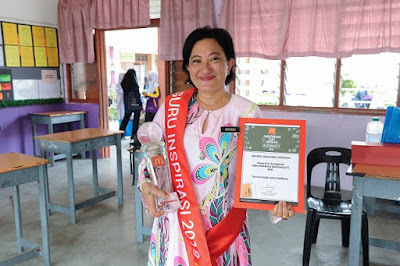 Some of the criteria for selecting the winners include improving the academic performance of the students, employing innovative and out-of-the-box methods of teaching, going beyond the call of duty to assist students, and last but not least the impact the teacher has had on students. Among the most compelling stories from the winners were teachers who uplifted the spirits of neglected students, giving them the extra push to not only excel in their academics, but also make something of their lives in the future. Other inspirational stories came in the form of teachers who had to dig into their own pockets to provide for their students, selflessly putting their pupils first rather than themselves. Heart-warming, touching and motivating, these teachers and their stories give meaning to the word ‘educator’ and encourage everyone around them to be positive and kind. 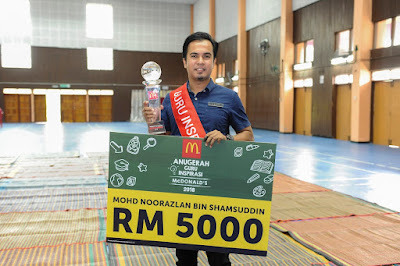 McDonald’s appreciation towards teachers is not limited towards the Anugerah Guru Inspirasi only. In addition to the award, McDonald’s is also organising motivational seminars at 10 locations around the country from 26 April to 24 July with well-known motivational speaker Dato’ Dr Hj Mohd Fadzilah Kamsah as part of this year’s Teacher’s Day festivities. 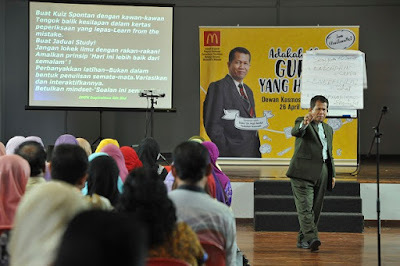 Now in its third year, the seminar is entitled ‘Am I a Great Teacher?’ (‘Adakah Aku Guru yang Hebat?’). From last year’s seminars, each venue was attended by approximately 500 teachers. As such, engaging a minimum of 10,000 teachers across the nation since 2016. McDonald’s Malaysia is also hosting Teacher’s Day party at all of its 271 restaurants nationwide. At the celebration, teachers are entertained with games, a photo session and refreshment. 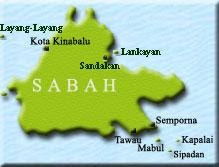 The purpose of the party is to recognise them of their dedication in nurturing our nation. The names of all the Anugerah Guru Inspirasi McDonald’s 2018 winners including their nomination links on McDonald’s webpage are listed in the attachment provided.